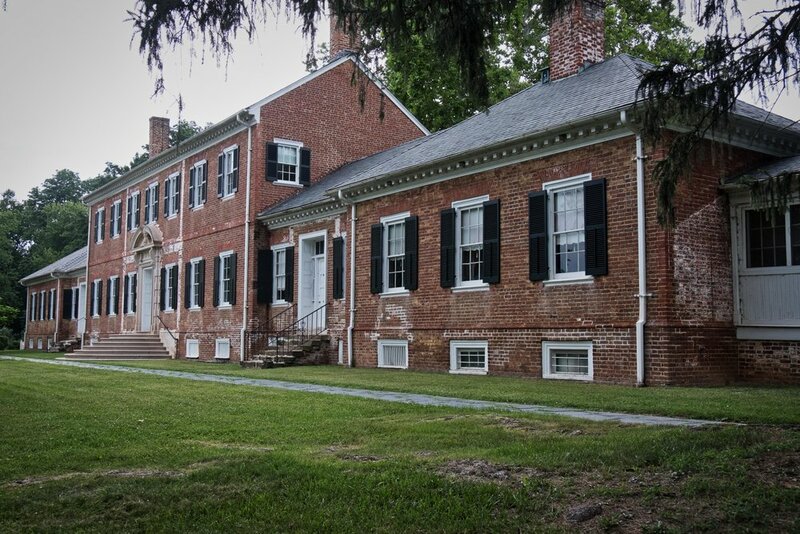 This is Chatham, an antebellum home on the Rappahannock River and is a part of the Fredericksburg National Battlefield. This is the river side of the house and was the "front" until the early 1900's when the main door was moved to the other side. Union forces occupied this and set up canon across the fields to shell Confederate positions on the heights. The second photo shows a view of Fredericksburg today with the two church towers still standing from the Civil War. This is a part of the river where the union also constructed pontoon bridges for the troops to cross. The failure to take any part of the town was at a great cost in men lost.